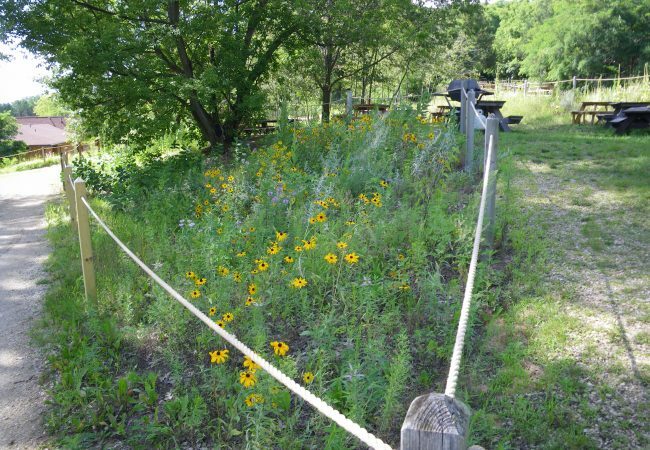 Ecological Restoration generally involves a greater area, but shares with Native Landscaping the common characteristic of largely creating vegetation out of “whole cloth”. As depicted below, this may involve the remediation of native vegetation destroyed during the construction process, melding the restored areas with the remaining natural areas. Ecological Restoration in this sense is largely a scale-dependent form of Native Landscaping less concerned with the aesthetics of design. 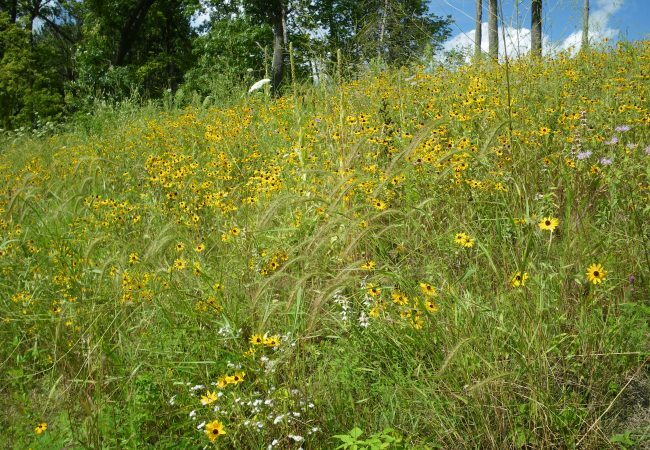 This distinguishes Ecological Restoration somewhat from Natural Areas Management where the focus is on management of existing native vegetation. However, Ecological Restoration spans a wide gamut of applications. In more complicated contexts it may include the restoration of hydrologic and other naturally occurring cycles and regimes. In many respects these designations simply form a continuum of applied vegetation management. 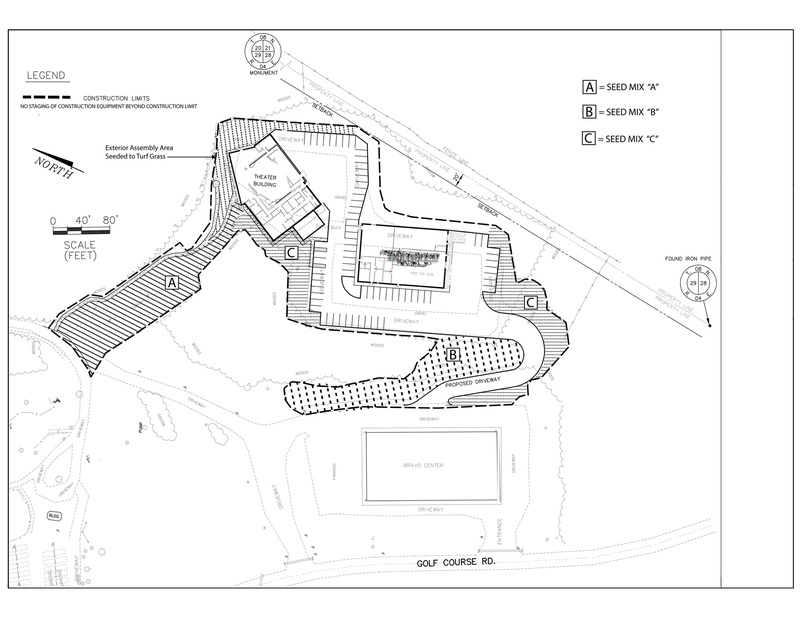 Depicted above is the Seeding Plan for areas disturbed in the construction of a new indoor theater. Seed mixes are carefully created to take into consideration the number of seeds per ounce of each species, the ease of establishment of each, and their longevity and aggressiveness once established. This is essential to obtain a diverse restoration. It is as much an art as it is as science and takes many years to perfect, it requres the ability to read site characteristics and match species to soil types, light and moisture regimes, and numerous other ecological factors. 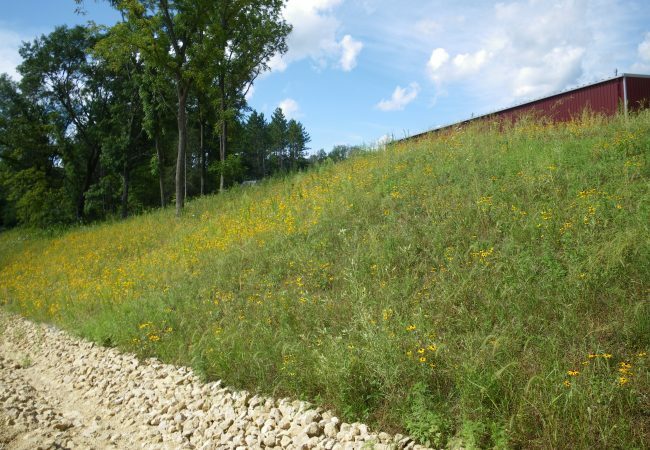 Photographs of the early successional phase of this project are provided below.